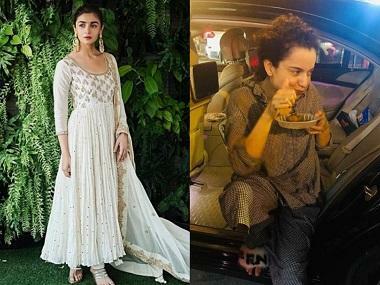 And so, we scanned the Instagram and Twitter accounts of celebs from India and abroad, to bring to you weekly updates from the interwebz. Who tweeted to whom? Who reposted last night's party pics? Who went on a rant about what? Whatever it is, don't worry, we've got you covered. So what do we have today? From fitness, friendships, movie teasers and posters — a little bit of everything. 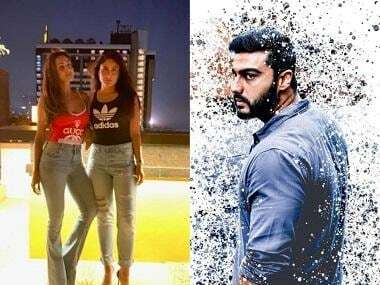 Ajay Devgn's Baadshaho and Anil Kapoor-Arjun Kapoor's Mubarakan released new posters, Ranveer Singh put up a Monday motivation post (that made us drool on Tuesday), Varun Dhawan stabbed Baahubali aka Prabhas in the back with a sword (! ), while guy-next-door Ayushmann Khurrana commenced work on his upcoming movie Shoot The Piano Player. Ranveer Singh's workout photo was meant to inspire us to get fit. Instead, we settled before our screens and spent several long hours minutes staring at his chiselled frame workout regime. Varun Dhawan and Baahubali superstar Prabhas hung out. Then they recreated that famous Baahubali scene. Yes, the one that spawned that burning question: "Why did Kattappa kill Baahubali?" We'd seen the Arjun Kapoor double role poster for Mubarakan. Now, uncle Anil Kapoor shared a poster that depicts the entire cast. Our verdict: This looks like fun. Ayushmann Khurana took to Twitter to announce the beginning of the shooting for his latest venture with Viacom 18, titled Shoot The Piano Player. An intense-looking Khurrana sits at the head of a piano, and stares over his shoulder. All very poignant and haunting. Will this film bring together Ayushmann's musical talent and histrionics once again? A new poster (yes, another one) for Baadshaho has been unveiled. 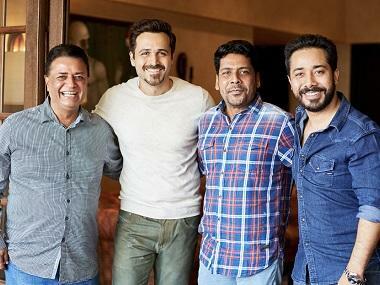 All six 'badasses' are finally seen together in the same frame — with the focus on Ajay Devgn, flanked by Emraan Hashmi and Vidyut Jammwal. Rana Daggubati posted a message on Facebook, along with this special teaser: "Congratulations Kajal Aggarwal on (completing) 10 years in cinema and on reaching the milestone of 50 films! Proud and honoured to have worked with you." "Happy birthday Radha!" he added, in a reference to Kajal's character's name in NRNM.